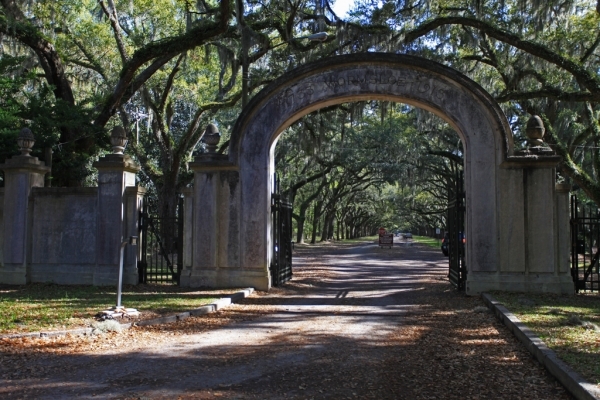 Having watched Gone With the Wind many times as a kid, I always assumed that if you had a big house in the South you also had to have an oak tree lined driveway. After visiting Rosedown Plantation in Louisiana on this trip and seeing pictures of plenty of other plantations, this seems like an accurate assumption. 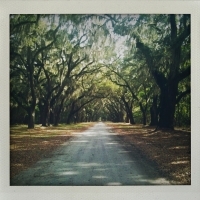 When I was looking into things to do in Savannah, Wormsloe Plantation kept getting mentioned and everything pointed to it being an excellent example. And how. 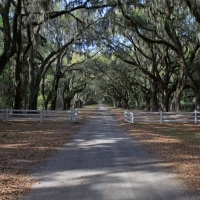 Rosedown had maybe 12 trees on each side of a 200 yard long alley, but Wormsloe dwarfs Rosedown by having a MILE AND A HALF oak alley. 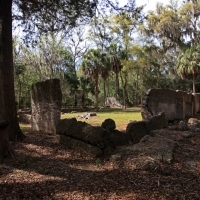 It was planted in 2 stages, first in the mid 1800’s and then another round in the late 1800’s for a total of about 400 trees. 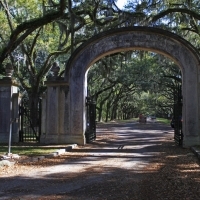 It’s super impressive, you could really get a feeling of what it would have been like to arrive from Savannah on horseback or in a carriage. We drove slowly down it in our car with the top down and lucked out by there not being any cars around. I imagine it would be a bit spooky at night, if you were on horseback, and by yourself, as the trees are quite close together and block quite a bit of the light. I also imagine you’d be like, "Man how impressive are the people who live here?". Well, at least if you were the sort to judge people by the length of the oak alley. Either way, I was really impressed.